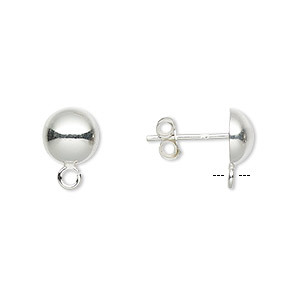 Earstud, sterling silver, 5mm satin half ball with open loop. Sold per pkg of 5 pairs. Item Number: H20-4922FN Have a question about this item? 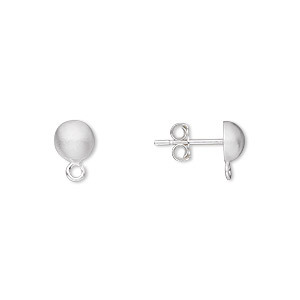 Sterling silver half-ball earstuds are hollow for a lightweight, comfortable fit. 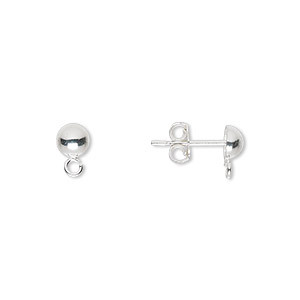 Nestling close to the ear, the half-ball design helps balance earring dangles. Use the attached loop to add beaded embellishments. Earnuts included. Earstud, sterling silver, 5mm half ball with open loop. Sold per pkg of 5 pairs. 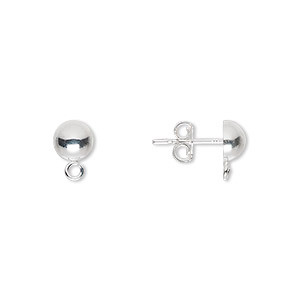 Earstud, sterling silver, 6mm satin half ball with open loop. Sold per pkg of 5 pairs. 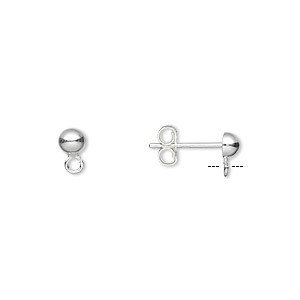 Earstud, sterling silver, 8mm half ball with open loop. Sold per pkg of 5 pairs. 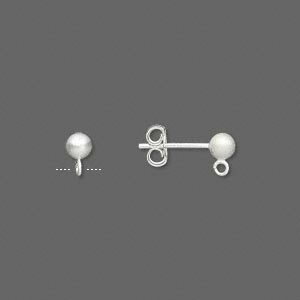 Earstud, sterling silver, 6mm half ball with open loop. Sold per pkg of 5 pairs. 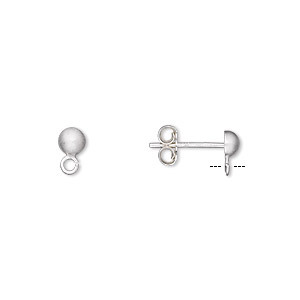 Earstud, sterling silver, 3.5mm half ball with open loop. Sold per pkg of 5 pairs. 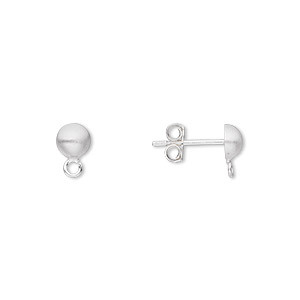 Earstud, sterling silver, 4mm half-ball with loop. Sold per pkg of 5 pairs. 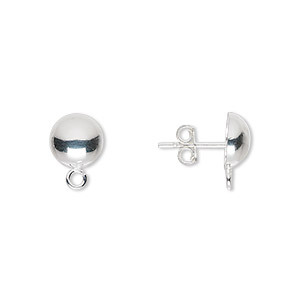 Earstud, sterling silver with satin finish, 4mm half-ball with loop. Sold per pkg of 5 pairs.